Vacation Money Tip: We cut grocery shopping to just fresh items & essentials twice a year - the months before vacation and Christmas -to free up some cash and force us to use or dispose of those odds and ends that hide in the corners of the pantry and freezer. Partial bags of pasta and frozen veggies work well in stews and casseroles. My kids think I am being a fun mom when Friday night dinner consists of a buffet of random portions of pizza rolls, tater-tots, fries, and taquitos. That giant canister of oatmeal can be used for breakfast, in cookies, and as a topping for a fruit crumble. You'll also use up, rather than throw out, perishables before your trip. If you find yourself passing over the variety of soup or box of Quinoa that you bought on an impulse, this is a great time to decide to pass it on to your local food bank before it expires and goes to waste. 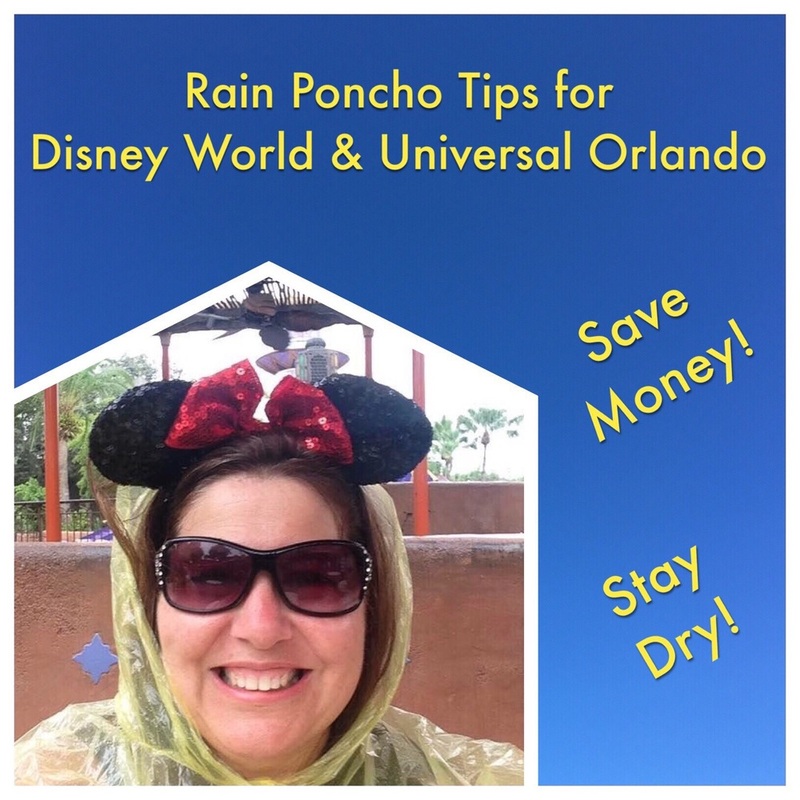 One of my biggest tips for Disney World and Universal Orlando guests (or any other Orlando theme park) is to be prepared for rain! Florida is notorious for rain showers, so be prepared! 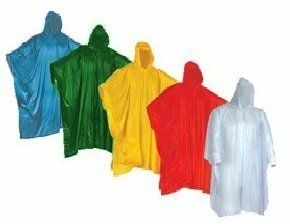 You can purchase them for about $10 each in the theme parks but I save money by buying a whole bunch of rain ponchos from Amazon and carry them with me. Most rain showers are over pretty quickly, so when rain comes, we put on our ponchos, grab a little snack (Dole Whip!!) and wait it out! A lot of people flee the parks when the rain starts so coming prepared is a great way to take advantage of the shorter lines during rain showers. No need to let a little rain ruin your day!!! 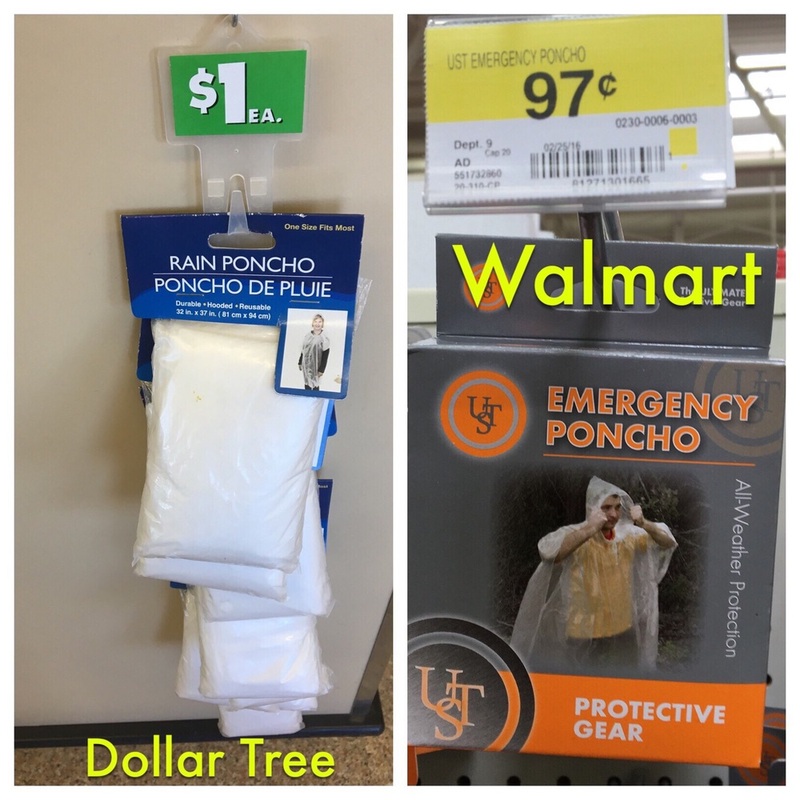 You can also find inexpensive, disposable rain ponchos at most Dollar stores and in the camping section at Walmart. My local Dollar Tree had them in the section where hair accessories are sold. The fashion maven in your family may declare that they would NEVER wear a poncho but will probably change their mind when they see lots of people putting them on when the rain starts. 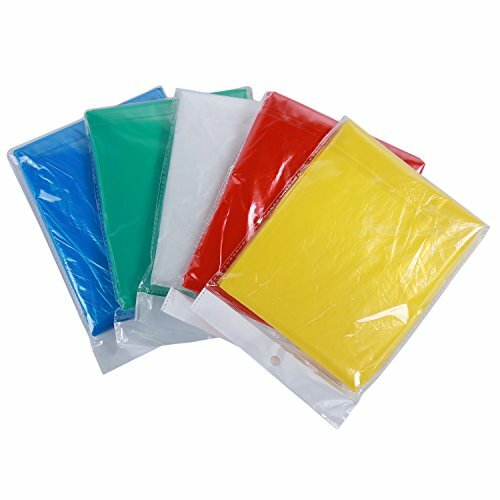 Inexpensive disposable rain ponchos for your Orlando vacation are available on Amazon and at Walmart and Dollar Tree. Even if it isn't raining, you may want ponchos to help keep you dry on attractions that can soak you to the skin like Splash Mountain in the Magic Kingdom, Kali River Rapids at Disney's Animal Kingdom or Dudley Do-Rights Ripsaw Falls and Popeye & Bluto's Bilge-Rat Barges in Universal's Islands of Adventure.